Playing this week at the Gateway Twin Cinema in Clinton is Dunkirk and It. Dunkirk (PG-13)- In May 1940, Germany advances into France, trapping Allied troops on the beaches of Dunkirk. Under air and ground cover from British and French forces, troops were slowly and methodically evacuated from the beach using every serviceable naval and civilian vessel that could be found. At the end of this heroic mission, 330,000 French, British, Belgian and Dutch soldiers were safely evacuated. Rated 8.4/10 stars by IMDB. 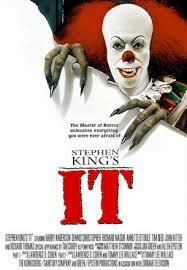 It ( R)- In the Town of Derry, the local kids are disappearing one by one, leaving behind bloody remains. In a place known as ‘The Barrens’, a group of seven kids are united by their horrifying and strange encounters with an evil clown and their determination to kill It. Rated 7.8/10 stars by IMBD.